As bad as the news is from the Philippines, I hear the real situation is actually worse–that news agencies cannot confirm the worst of the stories because the normal communication channels that would allow confirmation are gone. I hear that what is needed is not shoes, not canned goods, not blankets… but money. Which is convenient, as it is by far the easiest thing to give (if you are giving for the sake of giving; if you are giving to get rid of that old pair of jeans, you are not helping). …reminds me of the last time I visited this subject, thanks to Shelley at Retrospectacle (now defunct), when the muse was a… unique… knitting project. 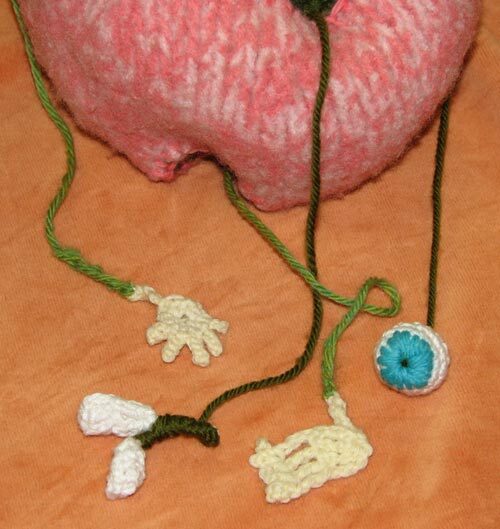 “Teratoma”, or “Knit me a Sister”. My Mom and Dad replied. “But Mommy! Daddy! Please, I swear! She’s closer than my teddy bear! See my tummy? She’s in there! My friend was real! I hadn’t lied! At first, my twin, but then she died. And shoveled out my basement. My Mom made a replacement! Just in time for Valentines Day, Scientific American has an article on oxytocin and long-lasting love. If cupid had studied neuroscience, he’d know to aim his arrows at the brain rather than the heart. Recent research suggests that for love to last, it’s best he dip those arrows in oxytocin. This article is better than most; oxytocin isn’t seen as the cause, but the mechanism, of one facet–an important facet, but just one of many–of love. Back in ’09, it was the BBC reporting on other research, but it was oxytocin again. In animals, scientists have observed that a chemical called oxytocin is involved in developing a bond between a mother and her young. Professor Young believes it is very likely that a similar process is going on in humans. “It’s just that when we experience these emotions they are so rich we can’t imagine that they are just a series of chemical events,” he said. But even if that is true of maternal love, is romantic love simply down to a squirt of oxytocin and a few other love chemicals at a timely moment? Professor Young thinks it might be. I responded at the time, but since nobody pays any attention to invertebrates, I suppose it’s once more into the breach. These verses are an addendum to the Evolutionary Biology Valentine (most recently posted just a few days ago). They’d go between verses 2 and 3 of that poem. Not why at all, you see. And delight in Filet of Our Savior. Know zombies want more than a cracker. They were zombies, and lusting for meat? And feast upon Jesus Undead? By eating the Cardinals’ brains. Image by the wonderful Jessica Hagy. … Because Bill O’Reilly has a short memory, he must have forgotten that Congress already tried to take testimony from a fetus. 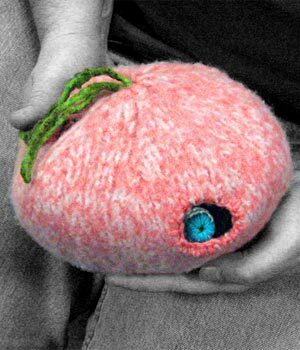 Cuttlecap tip, of course, to PZ. More on Ohio’s fetal testimony. and more. and more.